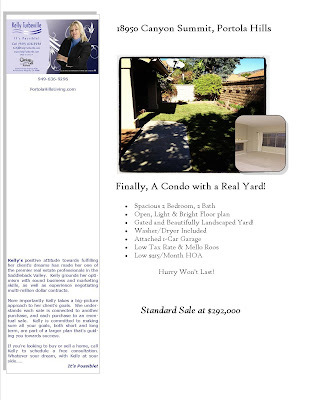 We have just listed this lovely condo in the community of Portola Hills. If you have been looking for a Condo with a yard, then this is the home you want to see. This home won't be on the market long, as the current inventory is very low and this is a sought after open floor plan, priced well and did I mention the YARD! To schedule a showing, contact Kelly today!